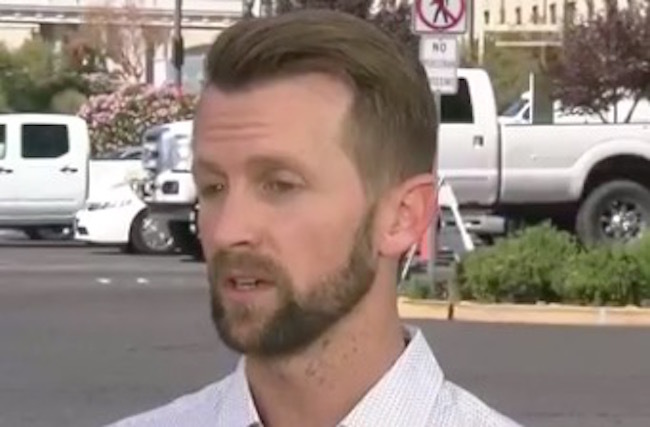 As we reported Monday, a gay Utah couple was among the victims of a mass shooting that took place at an outdoor Las Vegas concert on Sunday evening. “I just can not say enough amazing things about that man. He’s such an example to everyone he came into contact with in his life…. Please help his family and friends raise the much needed funds to cover the funeral and medical expenses. Today we lost an amazing friend, son, brother, uncle, cousin, coworker and boyfriend to the senseless, horrible tragedy of the Las Vegas shooting. He was full of life and love and so much passion. He loved his family, friends and everyone he came in contact with. He loved to cook, entertain, run marathons, travel, go camping, boating, and the outdoors in general and above all surround himself with those he loved and others. He is an amazing example to all and brought so much light to those he came in contact with. He accomplished so much in such a short time and touched the lives of so many. Between his love to cook and amazing dance moves there was always good times. He was such a caring, giving and loving man. Cameron, you will be greatly missed. We love you so much! Very brave to hold it together & speak so eloquently. I’d be an absolute mess if my partner was gunned down in front of me. I’ve gotta think he must still be in shock. If my mister had been murdered in front of me only a few days ago, I would be inconsolable with rage and grief. Even in such a time of terrible sorry, he is an inspiration. He even had the presence of mind to speak of his partners family. Hell I’m crying now.